As far back as history has been recorded, people have hunted. It was a permanent part of their way of life, and their survival depended upon the animals that could be hunted in their environment. Hunting was a skill that taught these people many life lessons, including how to make weapons, how to fend for themselves, and how to use every part of their kill as part of their survival. Hunting brought these early people together as a family, and was a tradition that was passed down from father to son, through many generations. These early people used hunting as more than just a way to kill an animal; it was a way to maintain what God had provided for them. In today’s society, there are groups that want to take away the tradition of hunting from those who enjoy it. Though hunting is not a life-sustaining need anymore, all of the other reasons people hunted in the past can apply to why people hunt today. Many of these “anti-hunters” insist that it is unethical to kill an animal, and that taking an innocent life is morally wrong, but the facts themselves are simple: without hunting, animal populations would rise in number. Without enough food for all of them to eat, many would look elsewhere for food in places like the suburbs, and most would die from starvation. A heavy animal population is bad for the environment and would eventually destroy the ecosystem. This is why hunting is a good way to protect the environment. If people can manage the animal population properly, can teach others the correct way to hunt and harvest animals, and can realize the positive aspects of hunting, then hunting will be seen as a positive part of society today. In his essay titled “For Environmental Balance, Pick Up a Rifle,” author Nicholas D. Kristof suggests that the only way to end all the death and destruction that deer cause is to, as the title suggests, pick up a rifle and hunt. Kristof believes that hunting will correct the “environmental imbalance caused in part by the decline of hunting” (184). Deer hold the top spot among mammals that kill the most humans each year. Kristof states that “the deer populations are exploding in a way that is profoundly unnatural and that is destroying the ecosystem in many parts of the country” (183). An overpopulation of deer presents such health problems and ticks and Lyme disease as well. Kristof believes that suggested methods of trying to control this overpopulation problem – such as deer birth control and paid contract hunts – are both expensive and a waste of time (183). Knowledge of correct hunting techniques and proper management are the best tools to correct the problem of deer overpopulation. Many people hear stories about how an experienced hunter shoots a young deer just because it is a deer. This is the wrong reason to hunt. Hunters need to be better population managers by letting the younger deer grow bigger. People who oppose this way of hunting are hunters who believe that management is not a good way to hunt. They believe a hunter hunts for the sole purpose of a successful kill, without regard to the impact on the population. These hunters seem to forget that the management of the deer population is very important. It is in direct proportion with the environment. By managing the deer population properly, the environment will greatly benefit. When there are too many deer, there is not enough food to keep them healthy and alive. The deer will end up “eating themselves out of house and home” and that is not healthy for the environment. This is why proper management techniques are necessary. Management is the most important factor in controlling the deer population. Focusing on deer management means that the deer population is properly maintained. When this is achieved, the environment benefits the most. An association that helps with the understanding of this concept is the Quality Deer Management Association, or the QDMA. This association focuses on explaining why the deer population should be managed, and what the correct techniques are to achieve this goal. QDMA is a non-profit organization whose goal is to preserve the deer management impact (QDMA). Their mission statement clearly states the organization’s goals and objectives. In it, they state that “QDMA promotes sustainable, high quality white-tailed deer populations, wildlife habitats, and ethical hunting experiences through education, research, and management” (QDMA). They also state that they are in favor of “[s]afe and ethical hunting, hunter involvement in education and management, and stewardship and appreciation of all wildlife” (QDMA). The mission statement of the QDMA supports the fact that there is more to hunting than what most people think. Hunting is not just killing animals. It requires scientific thinking and planning in order to achieve proper management. Kip Adams is a Certified Wildlife Biologist and Northern Director of Education and Outreach for the Quality Deer Management Association. He is also the author of an article found in Quality Whitetails, which is a magazine published by the QDMA. In his article titled “Deer Management Strategies (November 2004),” Adams talks about some ways to manage the deer population. He states that “Quality Deer Management [or QDM] is a household name to modern day deer hunters (Adams).” He summarizes that population management is something that both farmers and hunters look at very closely. “QDM is the approach where young bucks are protected from harvest, combined with an adequate harvest of female deer to produce healthy deer herds in balance with existing habitat conditions (Adams).” Adams uses the word “harvest” instead of “kill” or “hunt” to invoke a softer, gentler view of hunting, especially for the non-hunter. This no doubt will cause the non-hunter to take a second look at what he has to say and perhaps consider his viewpoint. Adams does not support hunting simply for the kills; rather, he supports hunting as a means of proper deer management, and expertly explains that if the deer are managed well, their population will benefit and so would the environment. Some people and groups don’t agree with what the QDMA believes. Groups like People for the Ethical Treatment of Animals, better known as PETA, believe that any kind of animal, big or small, tamed or untamed, should not be malnourished, hurt, or killed. PETA has always been controversial, but they are always true to their mission statement, which is to stop animal abuse worldwide. Organizations such as PETA are specifically against the unethical hunting of some animals (PETA). They have some ideas that make sense, but they don’t take into consideration the other side of the issue and the positive effects that hunting can have on the environment that they live in. Groups like PETA fail to recognize that hunters share a basic, common belief with them – the safety and preservation of animals. Throughout history, our ancestors used hunting as a means of survival, and unknowingly managed the animal population in the process. PETA believes that it is “unethical” to kill animals, and will always view hunting as “killing”. Perhaps if they would examine the issues a bit more closely, they would recognize that hunters are helping instead of hurting their cause, and that hunting does have some positive benefits. With proper rules and regulations, hunting also benefits the society and the environment as a whole. Using hunting as a way to manage the population of deer is a very important way to help the environment. One of the best ways to enforce population management is to establish definitive guidelines and rules to hunt by. In an article written by Bret Collier and David Krementz titled “White-Tailed Deer Management Practices on Private Lands in Arkansas,” the authors address the topic of proper management. They state that “[w]hite-tailed deer population management is a challenge for state wildlife agencies” (307). This is very true. These agencies can place rules about how many deer can be killed, and what type of deer can be hunted during certain times of the year, but they cannot be in every wooded area across the United States every day to be sure these rules are enforced and that people are hunting properly. Though it has its limitations due to the area in which it was conducted, this study is worth noting because of the similarities between available hunting areas in Arkansas and Ohio. Rural hunting spots are in abundance in both states, and both states run the risk of deer overpopulation without proper deer management. By having specific rules and regulations for hunting, it is easier to manage the deer population, which in turn has a positive effect on the environment. Ohio has established its own state-specific rules for hunting. In Ohio, there are specific rules on the number of deer allowed to be killed during one hunting season. There are 3 different regions – A, B, and C. In region A (where Sandusky is located), a hunter is only allowed to shoot a total of two deer. In zone B, a hunter is allowed no more than four deer (This is where Ashland County is located). Finally, in zone C (where Carroll County is located, which is where I hunt), a hunter is allowed to harvest six deer In Ohio, a hunter is only allowed to harvest one male deer (buck), or antlered deer per year (ODNR). These rules and regulations have an important impact on our environment. They help keep Ohio’s deer population at a healthy number and allow it to be controlled in the proper way. If people do not follow the hunting regulations, Ohio’s deer population would become overcrowded, and there would be no positive impact on deer management, which hurts the deer population already in existence. There are many organizations that promote the idea of ethical hunting by providing a positive reason for a hunter to hunt as a way to manage the deer population, even if the hunter does not want to process the deer and keep the venison for himself. There is an organization that is established in Ohio just for this purpose called the FHFH, or Farmers and Hunters Feeding the Hungry. This state wide ministry is run by local area churches, and is dedicated to helping feed the hungry with the unwanted meat that farmers and hunters can provide (FHFH). They take unwanted deer that are killed by hunters (as a means of population management) and extra crops that are not needed by farmers and pass them on to places like homeless shelters, food banks, and churches for distribution as they see fit. Many counties have a specific butcher shop that will process the deer and donate the meat to FHFH, like Don’s Custom Meats located in Waynesburg, Ohio (FHFH). This provides meat for people who cannot afford proper meals or are staying at a homeless shelter. This organization gives hunters who like to hunt, but do not eat the venison, an opportunity to help their environment by participating in deer management and population control. Another positive aspect of this organization is that it does not cost anything to donate a deer (FHFH). This is an important factor because hunters would be more inclined to shoot a deer and just leave it lay in the woods if they did not want to pay to have the meat processed. Throughout Ohio, there are 36 FHFH locations serving all 88 counties (FHFH), so there are locations everywhere to take advantage of the opportunity to help out people while helping out the management of the deer population as well. Some activists question the use of FHFH. They present such questions like what if a person refuses to accept the meat that is offered to them free of charge? What if the hunter leaves the deer just lying in the woods after a hunting trip and chooses not to donate the meat to a worthy cause? These are valid points, but realistically are far-fetched. A hungry person, or a person with a family to feed, is typically not going to reject free meat just because it is the meat from a deer. Likewise, any hunter that takes hunter safety courses and follows correct hunting procedures knows it is not a good choice to leave the product of their hunt in the woods. A conscious hunter knows that he will help both the environment and hungry families by donating the deer to FHFH. Families get a well cooked meal to put on the table while the environment is being managed at the same time. People need to look past the “killing” aspect of hunting and focus on the benefits that come out of it. There are many other benefits to hunting. Teaching young children how to hunt and help the environment at the same time is a perfect way not only to help manage deer but to pass traditions down through family members. There was a study done at Auburn University in Alabama about people’s attitudes towards children learning to hunt and how it related to game management. The study was done by the School of Forestry and Wildlife Sciences, and the group polled over 25,000 people on The Entertainment and Sports Programming Network’s (ESPN’s) Outdoors website. This was done by Shaun M. Tanger and David N. Laband, who work at Auburn University. People were asked what age children should be before they are allowed to go on their first hunt. The answer categories (in years) were 8-10, 11-13, 14-16, and never (298). Results varied between areas of the United States. While some findings indicated that there is a decrease in new younger hunters, the poll also suggests that there is an increase in “social support for hunting by children” (298). Encouraging children to learn the art of hunting will help management of the deer population. If more hunters are hunting, the potential to keep the deer population at a manageable number remains high. “Recruiting” new hunters to hunt is another way to help with management and teaching life lessons to kids. Unfortunately, though, in today’s society there are many distractions. Technology is high on that list. Kids that are between the ages of 10-15 grew up playing video games, not playing outside. Instead of going out and sitting in the cold, waiting to see a deer, a child can sit in the warmth of their home and play a hunting game on an Xbox or PlayStation. This may be a good argument from the child’s point of view, but he is not really hunting (or never get the real idea what it is like to hunt) by sitting on the couch and looking at the TV. Another negative influence is teaching kids at a young age that hunting is bad. This mindset deters a child from developing an interest in hunting as a child, and this may affect whether or not he decides to hunt as an adult. Recreating an interest in hunting and how it positively affects the environment can be done by enrolling children in hunter safety courses. These courses teach hunting basics, including rules and regulations and how to be a safe and smart hunter. Most hunter safety courses can be taken with a parent, which provides another way to pass on the tradition of hunting and teach kids what hunting really is. It is not about the kill; it is about a young hunter preserving the environment and learning a skill he can pass on to his family some day. Some people think that hunters are simply animal killers. The opposition makes many wrong assumptions. In Heart of Home written by Ted Kerasote, the author talks about how “America generally dislikes hunters” (179). He says that Americans dislike hunters because they “. . . use tools of destruction . . .” and they “. . . [like] getting blood on their hands [and are] dishonest” (179). These assumptions could not be further from the truth. Hunters do not use tools of destruction. Hunter safety courses are required for those who want to secure a hunting license and learn the proper techniques that go along with the responsibility of hunting. Hunters do kill animals, but not for reasons that anti-hunters might think. Hunting is a way to feed a family or provide meat for others less fortunate, as well a way to contribute to population management and enjoy the environment. A hunter’s goal is not to get blood on his hands. Yes, there is blood involved, but that is just part of being a hunter – it is something that doctors deal with every day, and people are not against doctors. Hunters are not dishonest. There may be a few “rednecks” that hunt illegally, but these types of hunters are in the minority, and will have their hunting rights taken away if caught by an officer from the Department of Natural Resources. These Department of Natural Resource officers also believe there is a code of ethics that each hunter needs to live by, and rules that need to be followed. In an article written by Ward M. Clark, the author states that “Hunting makes us human” (27). He also talks about how “hunting is what led humans to cooperate, to plan, to anticipate, to form society” (27). This is very true. Hunting is what made America what it is today. Without it, our ancestors would not have survived. In order to remain in a positive light, both hunting and hunters have to have good, moral ethics. The people that look at hunting as a bad thing are going to be very harsh on hunters and the values they have. These people usually base their opinion on one bad story they heard of one bad news article they read. This is unfair to do because not all hunters are unethical or “bad”. This leads people to ask why become hunters if there is a risk for hunters to seem like bad people. Hunters hunt because they “pay homage to Nature, to Life, to the Earth” (28). When done the right way, hunting is definitely an ethical activity, and hunter maintains these ethics every time he enters the woods. Hunting and being in the woods is not just away to manage the deer population for some people. It is also their chosen profession. Professional hunter Michael Waddell was born in Booger Bottom, Georgia, a rural city that does not even have a stop light or stop sign. The name “Booger” from Waddell’s hometown comes from either the name of a mythical creature that was half panther and half dog or from the names of the feds that raided moonshine stills (Waddell 1). Most people would think this town is a typical redneck town simply from the name, but Michael Waddell is far from a redneck hunter. He and his family relied on hunting as a way of life. “Hunting has been part of my life for as long as I can recall . . . because hunting is me. It is in my blood, it is my culture, and it is in my family” (2). Though he does not need to hunt to provide for his family any more, Michael Waddell’s life shows non-hunters that hunting can be beneficial. He took his passion and turned into something positive for himself and for the environment. People who are against hunting are going to say that Michael Waddell is just like every other hunter because, regardless of the reasons, he is still killing helpless animals. However, there is way more to a person like Michael Waddell than that. For him, hunting is way more than just something to do for sport. It is a way to help the environment by managing the deer population in the correct way and for the right reasons. Waddell has chosen not only to make a profession out of something that is a part of who he is and what he loves to do, but also to make a difference in the environment and help with the management of the deer population. “I have said it before and I will say it again. Hunting is something that transcends success, jobs, income, fame, and status. If my run in this industry ends tomorrow, I know one thing: I will still have a bow, a quiver full of arrows, and a hunting license, and at the end of the day that’s all that matters. As long as I can climb up into an old tree stand overlooking a prime piece of Georgia river bottom with the hope that a freak nasty buck may stroll by, I will be content” (Waddell 212). Hunting is a way for people to experience the environment and all it has to offer. Hunting and the harvest of animals has more positives than negatives. It is a way to manage the population of the group of animals that is being hunted, while still benefitting all the other animals living in that ecosystem. It is a tradition that can be passed from generation to generation. Hunting is more then what anti-hunters think it is; it is more than going to the woods and killing an animal just for fun. It is a great way to develop family traditions and, more importantly, it helps our environment. On 12-19-11 at about 2:24 a.m. Greece Police Officers responded to the area of Hincher Rd. and North Greece Rd. for the report of a motor vehicle accident in which a deer was struck. The witness told the responding officer that the occupants were arguing on the side of the road and that they left the scene of the accident with the deer in the car. The witness also heard the driver say that he was going to take the deer to Unity hospital. A short time later, Officer Daniel McLaughlin observed a 2002 Oldsmobile Intrigue west on Latta Rd. near Flynn Rd. that matched the description of the vehicle that left the scene. Officer McLaughlin also observed that the Oldsmobile had damage to the front end that would be consistent with striking a deer. Officer McLaughlin stopped the vehicle that was occupied by 4 people, and the asked the driver what happened. The driver, who was identified as Andrew Caswell, stated he had struck a deer and that he was going to take it to Unity hospital so that it could be saved. The driver went onto explain that he had put the deer in his trunk. Officers McLauglin and Thomas Schamerhorn then asked the driver to open trunk and they subsequently located the deceased deer. Mr. Caswell showed signs of intoxication and was placed through several sobriety tests and was eventually arrested for D.W.I. with a blood alcohol level of twice the legal limit (.16%). 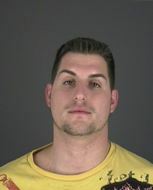 Caswell, 29, of Jamestown Terrace in Greece, was charged with Driving while intoxicated and Leaving the Scene of a Motor Vehicle Accident. He was released on his own recognizance and is to appear in Greece Court at a later time. While Chief Baxter sympathized with trying to save the deer during the holidays, Driving While Intoxicated will not be tolerated. If you’re shopping for a sportsman, it can be difficult thumbing through the way-too-many Christmas catalogs that come from the big-box hunting retailers (Note: you know which stores they are – the ones that repackage the same catalog and send it once a week to your door. I joke, but I still go through each one!). Well, here’s hoping we can make it a little easier for the shopper. And if you’re the one being shopped for, just send this post to your shopper! 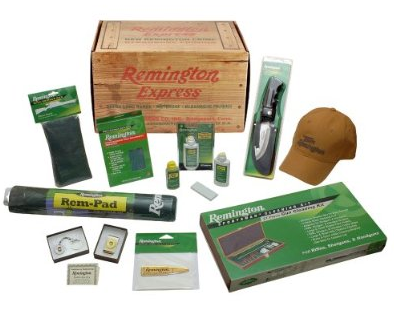 Remington Country, U.S.A. (Remington’s new, updated online store) has several items to accessorize your favorite outdoorsman. The site is loaded with great gift ideas. A couple possibilities with class include cuff links made from the brass of a Remington shell, as well as Remington money clips. The new store also has several assembled gift boxes to choose from that include accoutrements such as cleaning equipment, knives, hats, etc. Those come in a number of price ranges (from $20-$80). There also is a gift box targeted (pun intended) at women. Through Dec. 19, orders of a certain price get 15% off at checkout. This is the third year in a row that the compact video camera has made the holiday gift guide. And if your hunter does not-yet have one, he or she wants one. I promise. They take video, they double as a still camera. They are compact enough to tuck into a coat or pant pocket, and they take phenomenal HD-quality video. And here’s the best news: They have come down in price over the last several years. 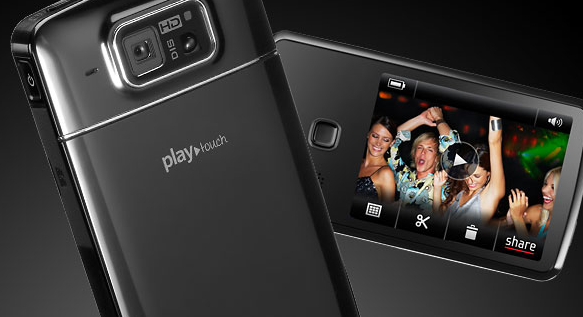 In fact, I found this price for a Koday PLAYTOUCH digital video camera while doing a little searching for a friend. The great price is probably a sign of a new model coming next year, but this camera seems like a winner to me. And if it’s headed to your favorite sportsman, remember to add a flexible tripod to make their life easier afield. 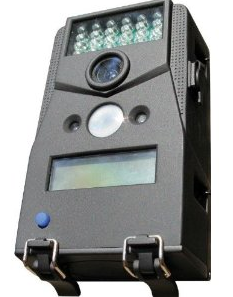 Much like video cameras, trail cameras have come out of the stratosphere with respect to price. Now, even if your hunter has 1-2 trail cameras, there is always room for another. Several retailers have “get in the door” pricing on several cameras this year. There are pros and cons to buying any brand, but most do a respectable job based on the price point they’re selling at. Most hunters who own more than one gun has an interest in the values of their own inventory, as well as some of the guns they would like to own down the road. 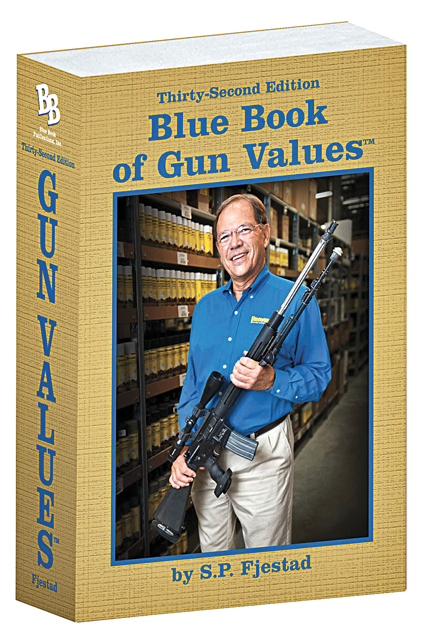 The best book I’ve found for this is the Blue Book of Gun Values. There are plenty of others, but this annual digest has an enormous list of gun values and breaks them down by the condition of the weapon. While it’s not necessary to get the updated version each year, it is nice to refresh with an updated version of the digest every five years or so. I am not a “gamer.” I don’t mind playing a little Wii bowling or tennis from time to time, but it’s been 20 years since I mastered the code to go straight to fight Mike Tyson in Punch Out on Nintendo. That said, I’m more intrigued than ever by the new line of hunting “simulations” that are available across all gaming platforms. 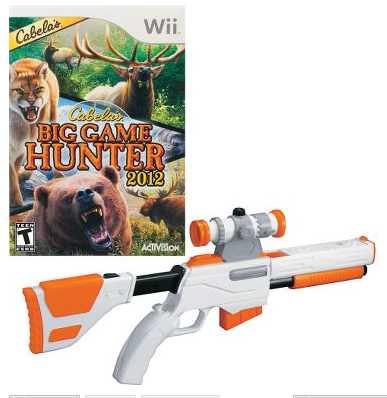 And since we have a Wii in our house, I think I could see myself playing the new Cabela’s Big Game Hunter 2012 from time to time. My hunch is most avid outdoorsmen wouldn’t mind giving it a shot in the offseason. Does your hunter double as a “Do It Yourselfer”? If so, how about purchasing a black-powder kit and allow him to build the gun that he will hunt with next season? There are a few common brands that are affordable ($300ish) that essentially provide all the parts for a hunter to assemble a tack-driving nostalgic muzzleloading gun. New floor mats for the truck! Chances are, his or hers are dirty. And there are a number of aftermarket brands that make great, custom-fit floor mats that keep the dirt, grime and mud out of your truck’s floorboards. They range in prices, but they pay for themselves by keeping your truck clean. Looking to spend a little more dough on your loved one? A YETI cooler could be a perfect gift. Ranging in price ($250-$800) based on size, these coolers are about as good as it gets for keeping colds cold and hots hot. They have an unmatched amount of insulation and are molded to keep things from leaking. 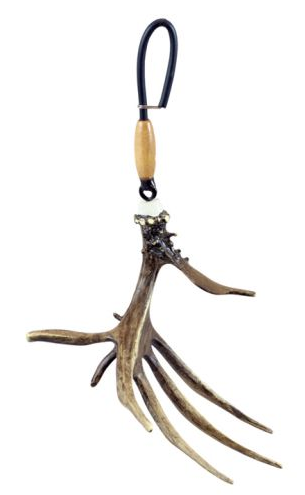 A neat little touch for any hunter, these miniature shed antlers are designed to hang from a rearview mirror. They are under $15. The company also makes miniature European mounts of several animals that can stick to a dash. Flaunt that you’re a hunter! Bill Winke is among a large contingent of deer authorities who appear on TV talking about deer. 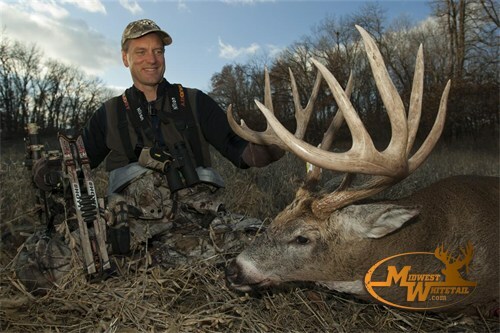 But the founder of Midwest Whitetail is among my favorites for a number of reasons. He’s a family-first, God-fearing hunter, who is always a writer and photographer first, before he is a celebrity hunter. Since the day AHT Contributor Greg Johnston showed me Winke’s semi-live hunting show, I’ve been hooked. I expected I would after reading Winke’s writing for a number of years. Like his writing, his weekly shows are informative, entertaining and very well produced. Simply put, it represents the digital future of outdoors entertainment. Winke gives AHT readers an inside look at where his passion for hunting came from and tells us where the 2011 season ranks within his top whitetail seasons of all time. 1) You’ve been writing about whitetails for a long time. 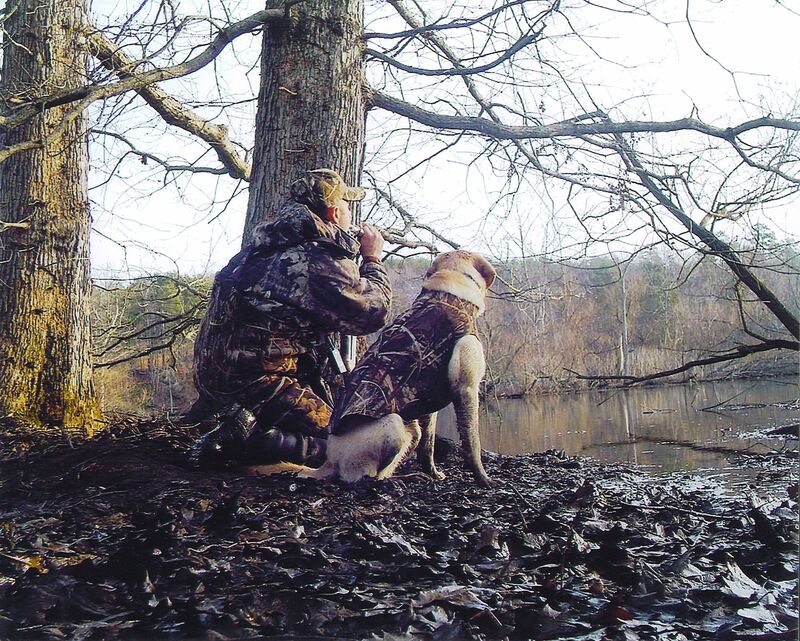 Where did your interest in hunting come about? And even more specifically, how about the interest in writing about them? My actual interest in hunting came from my dad. I remember the moment to this day. I was riding with him on the Farmall C heading out to get the cows to milk when I asked him what was his favorite thing to do outdoors. I thought that would give us an excuse to talk about fishing, which I loved. He said “hunting”. I was probably 8 or 9 at the time and I had never known my dad to go hunting. He had given it up when he started raising us kids. I figured if it was better than fishing it must be a pretty awesome thing! So I asked my dad if he would take me hunting sometime. He took me squirrel hunting and I remember him shooting two or three with his .410 that day and I was hooked from then on. My passion for writing started from my passion for reading. I used to read hunting magazines every evening for at least an hour before going to bed. In our house, the heat ducts didn’t reach my room so I set up a system for turning my light off at the end of my reading time without having to get out of the bed. (That was long before the clapper). We didn’t really have much money to spare so it never occurred to me to ask for a reading light. When I finished reading, I pulled on the fishing line that ran under a book and then was taped to the light switch. That way I could turn it off without getting out of the warm bed. I always loved writing and took many writing courses in high school and college (I always wrote about hunting). I actually went to college for engineering but after four years in that field I wanted to see what was out there in the big world. My wife and I quit our jobs, traveled for several months all over western North America, living on $300 per week! It is amazing what you can do with nothing if you are creative. Along the way I met some people that led to part time jobs (always focused on hunting) and those jobs led to relationships and eventually God opened the right doors and closed the wrong ones and I ended up writing for a living. Believe me, it was not easy at all getting started, but I am sure glad I stuck with it now. 2) How did the idea for a semi-live, online hunting show come about? I could see everything going to web and I felt that I needed to do something there. I had a video camera for a project I had been working on so I just thought “What would I like to watch if someone would just create it for me?” This is what I came up with. The path from idea to success was also twisted and never easy, but that will have to be a story for another day. Just bear in mind that giving birth to anything is never easy. 3) Producing a show in such a quick turnaround seems challenging – what kind of work goes into bringing a full segment to your viewers each week? Obviously, we have to get the footage in, whether we shoot it or someone on the pro staff shoots it. Then we have to capture it to the computer, file it and watch it all to see where the best story or best lesson lies. Then you have to start the video editor and beginning laying it out. Once the footage is in the office, it takes about two days to turn that into a finished show. There are usually interviews needed so that also has to be figured in. I edited many of the first shows, but now I have employees that do all that. We have done it for so long now (four years) that it is just instinct. We don’t even think about it any more. It is just part of our lives. 4) Ok, outside of a weapon, what are the items you take to the treestand that you simply cannot live without? I don’t carry much. I am a minimalist. I carry a knife, grunt call, facemask, tags, small penlight, tree harness and that is about it. I carry it all in my pockets! Camera and associated gear, of course, but that is not something that most people need. If I am putting up a stand, I carry a small fanny pack with a pull up rope, folding saw, tree steps. That is pretty much it. I use the harness with a rope as my climbing harness and would never leave the ground without it now. 5) You do several appearances and speaking engagements. What is the most-asked question you field, and what is your common answer? I actually don’t do a lot of speaking. I like staying home with the family. When the kids are grown and on their own, I will likely travel more again. However, I do get a zillion questions on the website. Most often asked: “How can I get into this business?” Second most asked: “Which tree should I hunt from?” The answers obviously would take way too long to dive into here. They are varied. I generally just refer people to a blog I wrote on the website back in 2009, I think, about how to get into the industry so I don’t have to go through it each time. The opportunities are still there for people with skills and a work ethic. 6) Your 2011 season has shaped up to be quite remarkable – two amazing bucks that you have a history with. Is this among one of your most memorable seasons? For sure, it is my best whitetail season ever. People have no idea how much luck goes into something like that, and how special it really is. You have to make a few good decisions, put in the time, but the rest is luck. You have to really take the time to enjoy the blessing when it finally all comes together. 7) What does a typical off season entail for you? I do a lot of writing and photography, managing Midwest Whitetail (getting organized for any opportunities I see coming) and we spend time working on the TV shows now. I don’t do as much with the TV shows other than guidance and interviews. They guys are good enough now to handle it without much input from me. I spend a lot of time playing sports with our kids. I grew up playing sports. People probably don’t know it, because I don’t talk about it, but I really, really loved sports as a boy. I loved hunting more, but only slightly more. I had some scholarship offers to play college football but I didn’t want to give up my duck season for four years so I turned them down! I still never regret that decision. I loved (and still do) hunting. 8) Ok, long-time watchers need to know … when are you going to get that crack fixed on your windshield? Maybe what I will do is take up a collection from the viewers to get it fixed. Actually, it still seems to be hanging in there and not spreading too much, so I just never think about it anymore. If it starts spreading again, I’ll have to fix it! Can’t have the wind blowing in the front windshield. Cat Tales: If you have time, you should go vote for Midwest Whitetail as a write-in for Best Hunt Show on Sportsman Channel. Again, you need to fill in the Write in section as editors didn’t consider it (ridiculously) among the finalists. Here’s hoping hunters can make that adjustment! 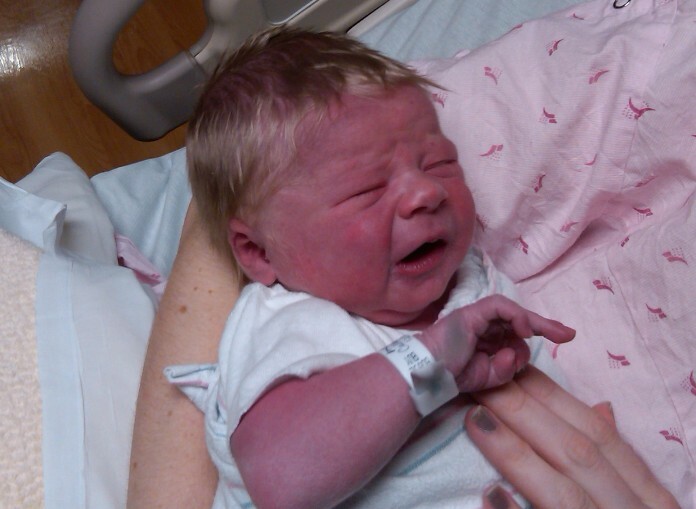 Reid has more hair than his dad. A Hunters Tales is pleased to announce it has signed Reid Michael Culbert, age 1 day, to a long-term agreement to join the AHT pro staff the first day he legally can hunt! Terms of the agreement were not disclosed. Any further questions should be directed to big sister Sara.